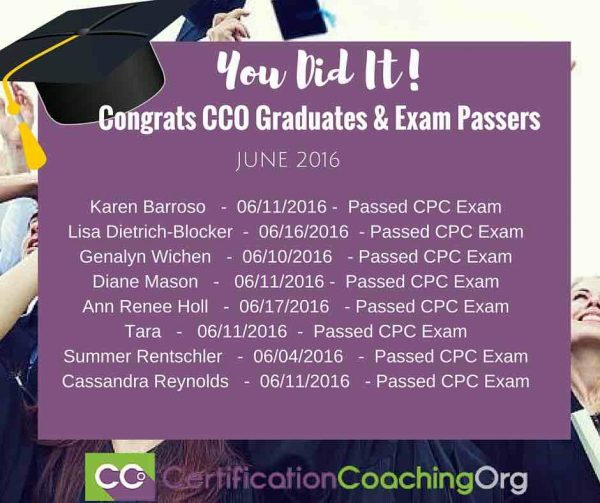 I passed my CPC 6/11/16.. yay!! 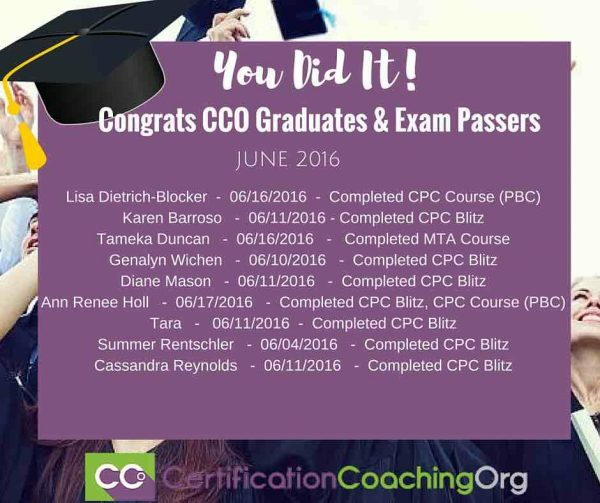 I look forward to adding my name to the list of students who passed the CPC exam!